Enjoy 3 hrs. 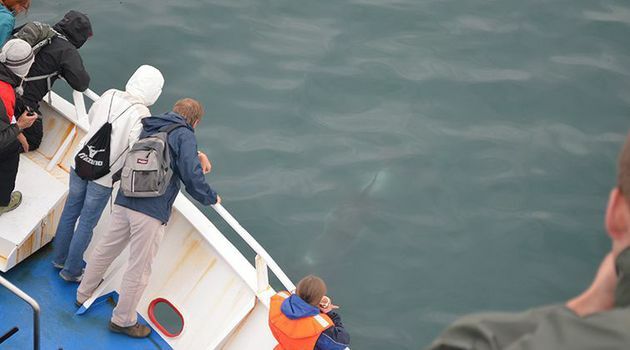 at sea with our expert crew and specially trained naturalists in search for the whales and wildlife of Reykjavík. The city view and landscape of the bay is also not to be missed and adds that something special to the experience. Meet us at our red and white ticket office in the Old Harbour in downtown Reykjavík where you will exchange your pre-paid voucher for admission tickets. A few steps down the pier you will find our Visitor Centre, facilitated on board a converted fishing vessel permanently placed by the pier. That is where you will be greeted by the crew. Have a look at our souvenir shop, warm up with a cup of coffee in our café or head downstairs in the hull of the boat and stroll through our wildlife exhibition; the only one of its kind in the world! 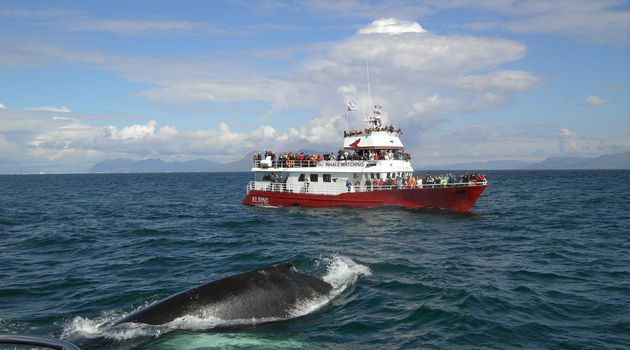 Onboard you will find several outdoor viewing platforms, an indoor saloon with large wide-range windows, a cafeteria where you can buy light refreshments, toilet facilities and a cloak room where you can borrow our blankets and overalls for the duration of the tour. You can stay outside in the fresh air but you are also welcome to settle inside the heated lounge and observe the views from within. 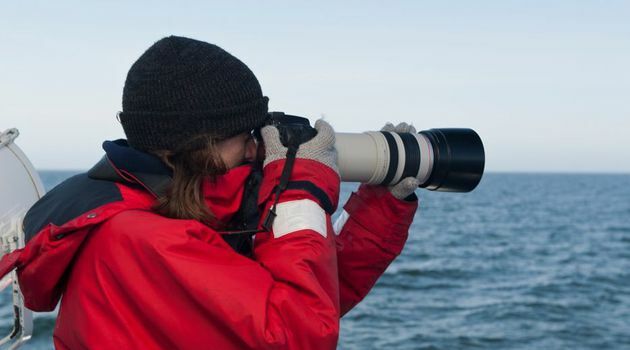 Our excellent naturalists will give a commentary throughout and explain the sights and encounters as we go and the crew is happy to answer any questions you may have along the way! 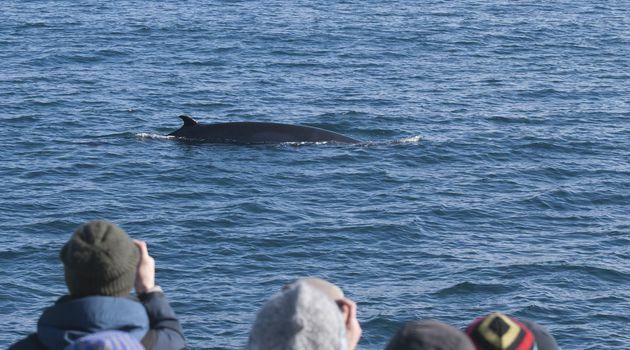 The most common species encountered on our tours are the minke whales, humpback whales, white-beaked dolphins and harbour porpoises. 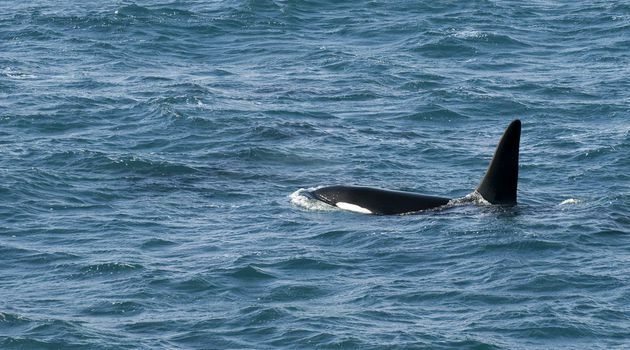 Occasionally we see other species such as killer whales, fin whales, sei whales and long-finned pilot whales, although they are not as common. 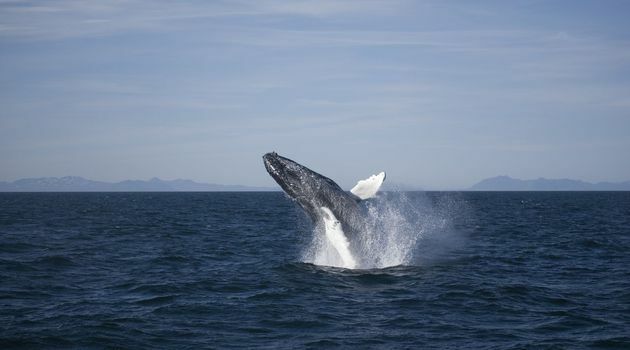 The whales are most abundant in summer, giving us a great chance to enjoy and understand them in their natural environment while they are feeding on fish and krill near our shores, although each year continues to surprise us with the variety of wildlife we see in winter and our research shows that more and more whales are staying in the area year round! 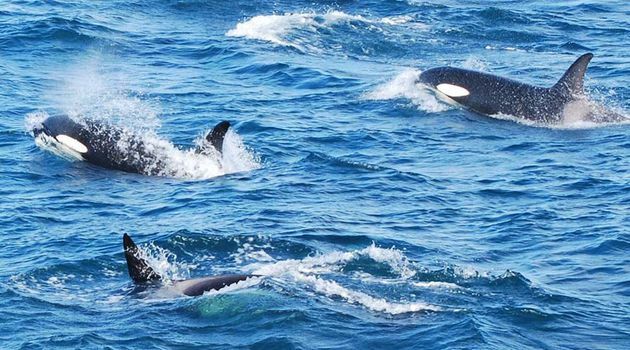 * This is a wildlife excursion and as such we can never guarantee or predict sightings of any kind, but in case we don't encounter any whales or dolphins, we will offer you a return ticket so you can join us again another day (within 2 years) for FREE! * We reserve the right to alter routes and itineraries by sometimes sailing from other harbours, which could result in a slightly longer tour. If you are on a tight schedule we suggest you consult with our sales representatives. 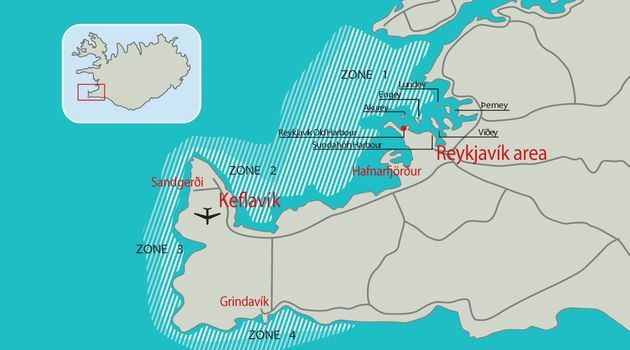 * If you are traveling in winter (Nov-Feb), we ask that you rather book our 'Reykjavík Winter Whale & Dolphin Watching' option for more details on our winter operation. 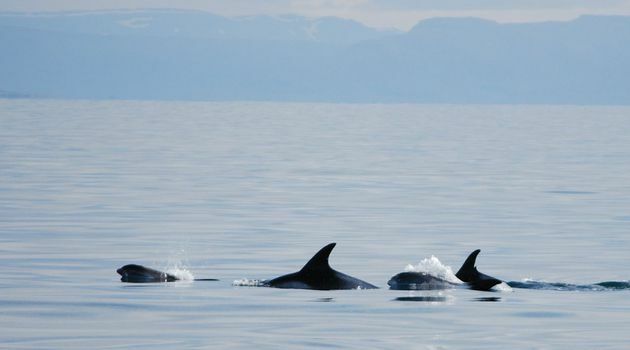 COMBO: Combine this activity with Puffin Watching or a Northern Lights Cruise! You can also check out other combo packages we have put together. 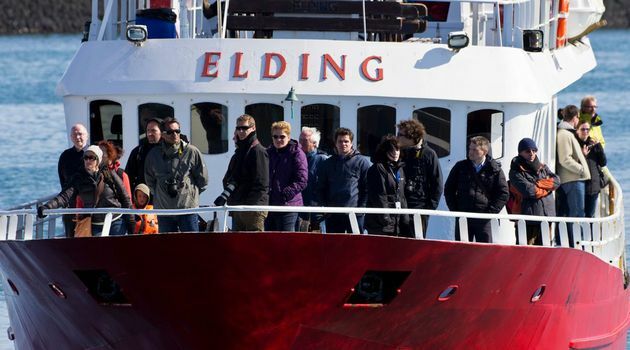 The safety and enjoyment of our passengers is our number one priority and therefore the tour could get cancelled on short notice, depending on the weather and conditions at sea. In this case, we will try our best to contact you as soon as possible to let you know. 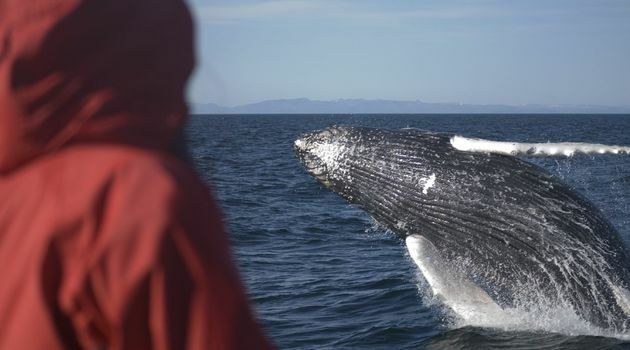 Check our 'Whale Diary' in the hours leading up to your tour for any additional updates. It is always colder on the water than on land so wear good sturdy shoes, dress warmly and put on the provided warm overalls when needed. For optimal viewing and a more enjoyable cruise this tour is weather dependent. 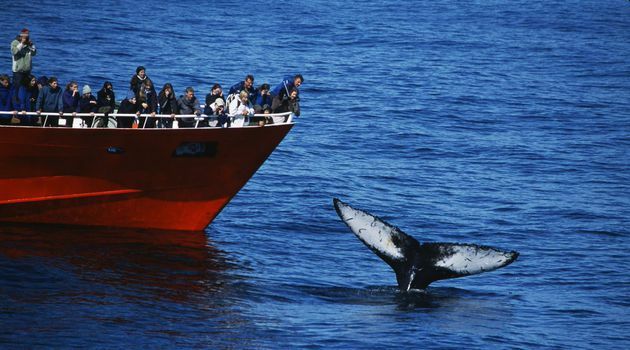 We abide by a Code of Conduct for responsible whale watching. Thus each encounter is on the animals terms and distance may be kept to minimise disturbance. 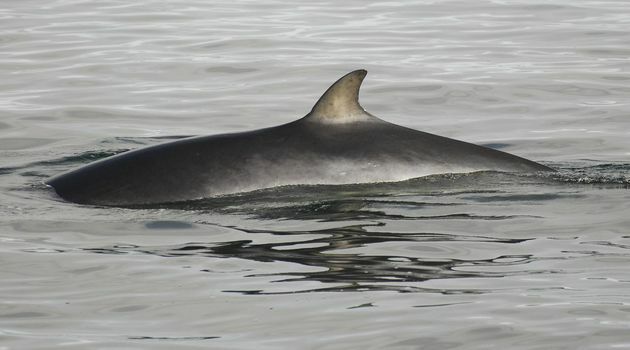 Click here for more information on the cetacean you might expect to see on the tour.